I’ve become absolutely fascinated with WebVR recently. The fact that you can access an immersive virtual reality experience powered by a web browser on your mobile phone just blows my mind. I picked up a Google Pixel 2 XL and a Google Daydream headset to experience and develop for WebVR, which provides a nice and comfortable experience, but you can also get started way cheaper by using something like Google Cardboard and a lower end mobile device. All of what we build will be deployable as a PWA, and anybody with a compatible phone/headset will just need to visit the application in their browser to experience your 3D scene in virtual reality. You can check out the example I created for this tutorial at: https://ionicvrtest.firebaseapp.com. Before we get into building the example, we are going to briefly cover the concepts that enable us to build WebVR experiences (like the ThreeJS framework). NOTE: This tutorial will not be covering the basics of ThreeJS and how it works. We will be using some example ThreeJS code to create a 3D scene to view using WebVR, but I won’t be going through it in detail. The main focus of this tutorial is to walk through the steps for enabling a WebVR experience in an Ionic/Angular application. When it comes to building a virtual reality experience on the web, there are a few key pieces of technology that we will need to be aware of. In this example, we will need to have a basic understanding of WebVR, WebGL, and ThreeJS. You won’t need to have a thorough understanding of these technologies in order to complete the example, but you should try to grasp the basic role that these technologies are fulfilling. The basic idea behind WebVR is getting the stuff we build in the browser to communicate effectively with VR HMDs (Head-mounted Displays). We need to display content in a way that works well with the VR headsets (i.e. the multi-view stereoscopic image you can see above, where the screen is split into two views to be viewed by the lens in the HMD), we also need to be able to communicate with the sensors in the device to orient the display correctly, and maybe we even need to listen for input from a controller as well. A lot of the APIs available for WebVR today are still experimental and are being actively developed by the likes of Google and Mozilla. With that bit of theory out of the way, let’s get into implementing the example. In order to display the scene we want to create with ThreeJS, and allow users to launch the scene in their virtual reality headset, we will need to set up a few dependencies in the project. This package will install the ThreeJS framework. This package (and the following package) were created by halvves. It is based on the default examples for VRControls and VREffect, but both have been modularised so that they play nicely in a webpack environment. VRControls will allow us to get information about the user’s position. VREffect will allow us to create the stereoscopic view necessary to support a virtual reality headset. 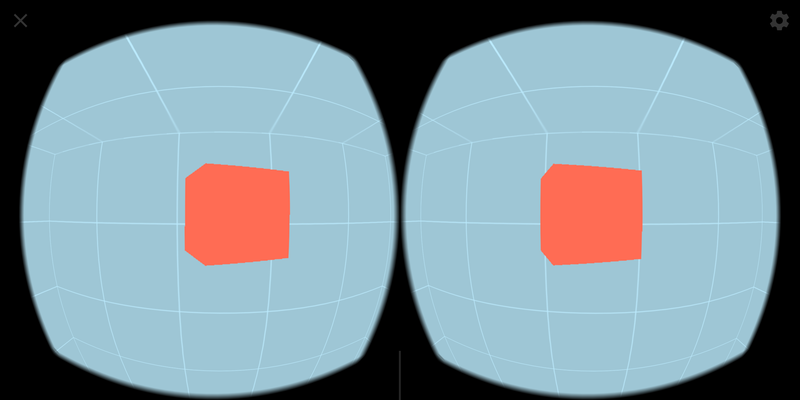 This package is a simply a polyfill which will allow your WebVR implementations to work on browsers that don’t currently support WebVR. 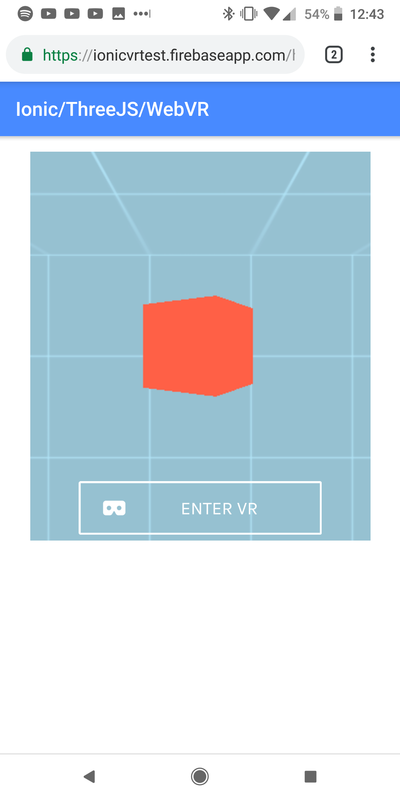 This package will allow us to automatically create a button (the ‘Enter VR’ button you can see in the example) that will handle launching the ThreeJS scene into a WebVR experience for us. It will also display the appropriate messaging if WebVR is not supported, or if there are no VR displays available. wherever we want, and the ThreeJS scene will be rendered wherever we place it (along with the button to launch the VR experience). Now that we have the component generated, let’s start off by implementing the template. All we really need is a canvas that we can attach our ThreeJS functionality to. Then the bulk of our functionality is going to be our TypeScript file. 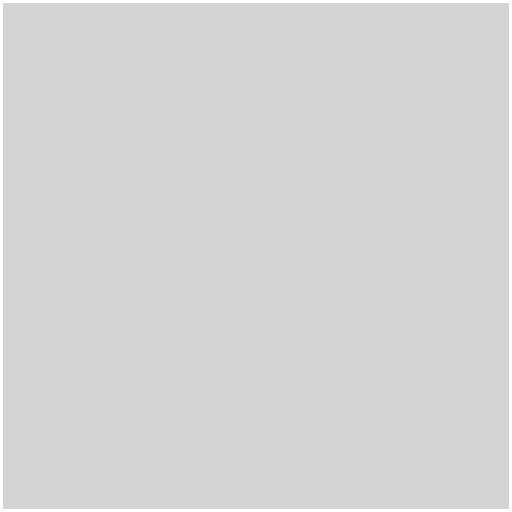 The ngOnInit function handles the initial set up like creating a new renderer on the canvas element, setting up the camera, and setting up the scene by adding a cube and skybox (to give us the sense of a room rather than just an empty void). After setting up the scene, we create the ‘VR Button’ using the EnterVRButton method of webvrui. We then use that same button to grab a reference to the available VR Displays, and kick off the update loop with requestAnimationFrame (using requestionAnimationFrame ensures that your code is executed at the most opportune time, i.e. before the next paint occurs). The update function handles updating the scene, which in this case just involves rotating the cube. This function then calls itself recursively, again using requestAnimationFrame, so that the update method is constantly running. The ngOnInit function does the initial set up, and then update will be able to perform tasks like animating objects, checking for conditions, and so on. All that is left to do now is add a bit of styling so that the Enter VR button displays properly. Creating 3D VR content is obviously a huge field, and we’ve barely scratched the surface of ThreeJS here. My main goal with this tutorial was to demonstrate how to launch a VR experience from an Ionic/Angular application. If you are interested in seeing more standalone ThreeJS content (with a focus on learning ThreeJS for mobile experiences, not just using it in Ionic/Angular) leave a comment and let me know. I’ve become super interested in this tech, but am undecided on whether or not I should add content to the blog about it.